Robert James Waller is the author of thirteen books, both fiction and non-fiction. He has also released one CD, The Ballads Madison County: A Collection of Songs (1993) as a companion to his most famous novel, The Bridges of Madison County (1992). Waller was born in Rockford, Iowa, on August 1, 1939. He married Georgia Weidemeier in 1961. They had one daughter, Rachael, who was born in 1968. The couple divorced in 1997. He married Linda Bow in 2004. In 1962 he graduated from the State College of Iowa (now the University of Northern Iowa) with a B.A. in Business Education—Teaching, and in 1964 with an M.A. in Education. He received his Ph.D in Business from Indiana University in 1968. 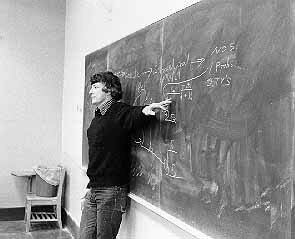 Later that year he joined the UNI faculty, teaching management and economics. He became a full professor in 1977 and Dean of the College of Business in 1980, a position he held until 1986. He then returned to the classroom for three years, before concentrating his efforts on obtaining grants for IDM-Emerging Opportunities. In 1992 his bestseller, The Bridges of Madison County, was released. The book was later made into a film starring Meryl Streep and Clint Eastwood. With the book's success, Dr. Waller was contracted by his publisher to write three more novels. To fulfill this obligation, he requested, and was granted, an extended leave of absence. That ended in 1993, at which time he requested an unpaid leave of absence, which lasted until 1997. More information about Robert James Waller can be located on the Waller page of the community Cedar Falls Authors Festival website. Additional information about Robert James Waller can be found in the Famous UNI Alumni section of the UNI Special Collections and University Archives website.